It is a truth universally acknowledged, that a man in possession of a good map will never be lost if he uses it. However, getting him to actually use it, or ask for directions is another matter. 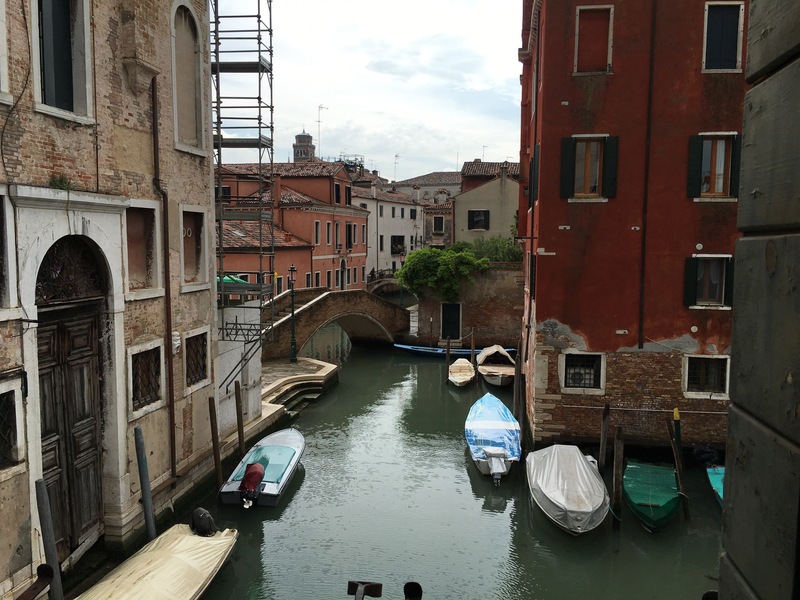 This rule does not hold true in Venice, a city that is simultaneously the city of gondolas and the city of men holding maps. 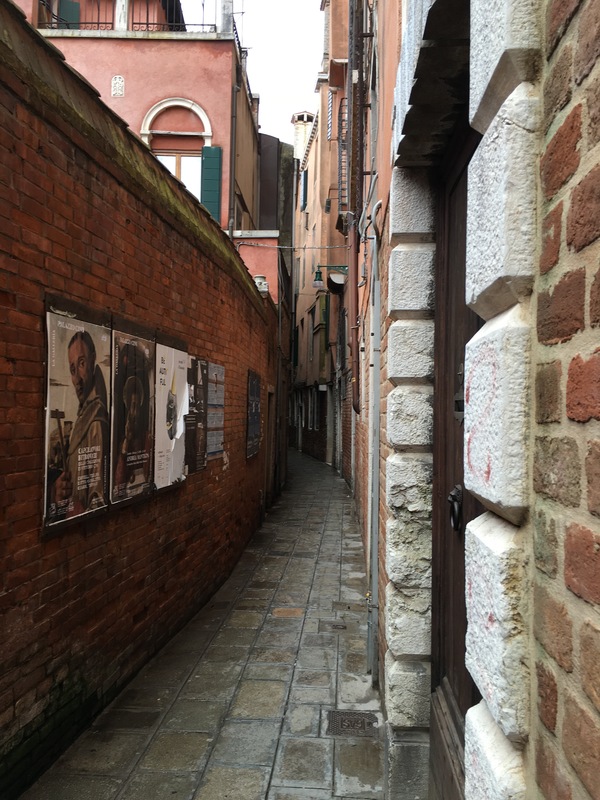 The street below is typical of those in Venice, and because you cannot see any landmarks you have to use local shops and street signs. As a visitor this is more difficult than it sounds – we walked past our apartment door without realising it. Everywhere we went people had maps open, and in one shop directions were being given. The first business card we were given had a map on the back. We are staying in San Polo which has fewer tourists, and in the square near our apartment children were playing while their parents looked on, the guy with the Batman tshirt and Nokia camera looking very out of place. Like us. This is the view from our apartment lounge. 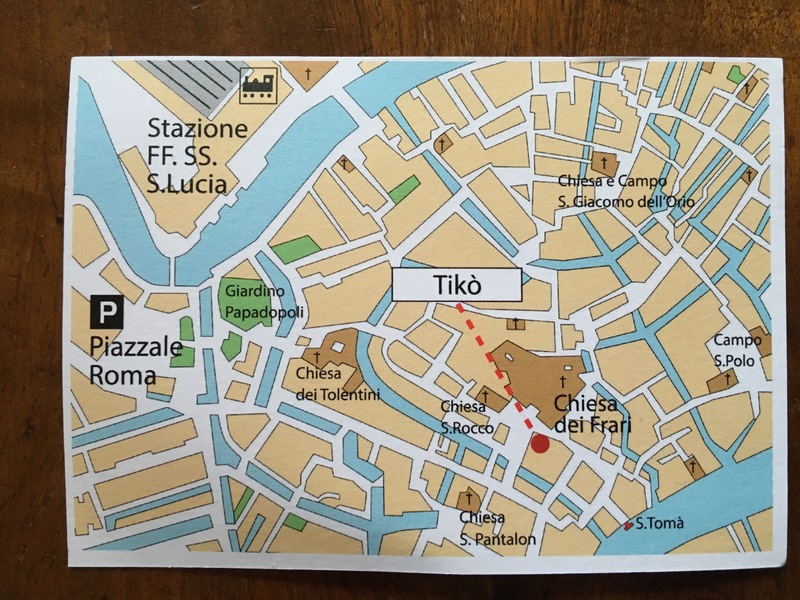 Tomorrow we hit the museum circuit and visit St Mark’s Square.